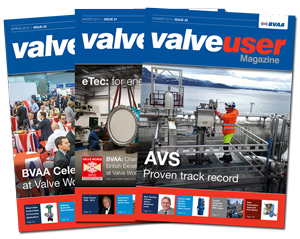 Up to 25%* of pressure relief valves (PRVs) in refineries and chemical processing facilities experience high pressure drop at the inlet of the valve. High inlet pressure losses occur when frictional losses due to piping are excessive or undersized fittings have been utilized. These piping dynamics starve the pressure relief valve of capacity and cause the RV to rapidly open and close, a condition called chatter. Chatter can lead to premature wear to the internal RV components or even cause valve failure. Calculating the inlet piping hydraulics will determine if the cause of the chatter is indeed due to excessive inlet pressure drop. API and ASME Appendix M recommend inlet pressure loss to not exceed 3% of the RV�s set pressure. For most processors, the possibility of receiving OSHA fines for excessive inlet pressure loss is a major driver for corrective action. Farris has introduced a cost effective solution to correcting RV installations experiencing inlet pressure loss with the Restricted Lift 2600 Series design. Restricting the lift of the RV reduces the effective orifice (relieving) area and therefore minimizes the overall valve capacity (actual capacity vs effective capacity) from the RV. The reduced flow means the valve will experience lower frictional losses in the piping, mitigating inlet pressure drop. Farris Engineering Services provides processors with deep expertise related to relief system performance and technical solutions for pressure relief valve hardware. 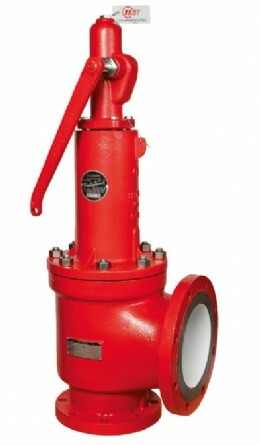 Contact our FES team to properly identify the source of RV chatter in your relief valves. To learn more about the 2600 Series Restricted Lift design, please contact your local Farris representative here. *Statistic is based on calculations performed by Farris Engineering Services on ~32,000 PRVs over the past twelve years. The fuel of the future - Coal?